Welcome to the Open source DnnMinimalist theme! All the goodness of Dnn and Bootstrap! Colors, layouts, additions, its all easy to customize to your needs! 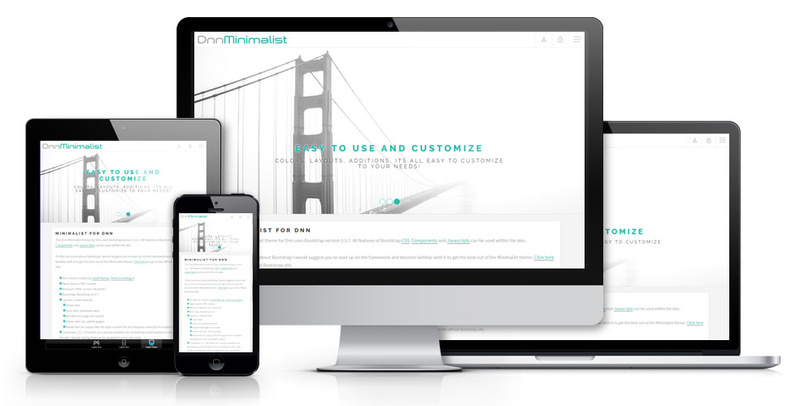 Download the Dnn Minimalist Theme for free! To find out more about Bootstrap I would suggest you to read up on the framework and become familiar with it to get the best out of the Minimalist theme. Click here to go to the official Bootstrap site. check_circleContainers: 27, 1 of which are a social container for formatting social buttons in the socialpane of the skin. Simple styling that can be adapted to your own style. The DnnMinimalist theme and source can be downloaded from Github. Please choose below which version you would like to use. 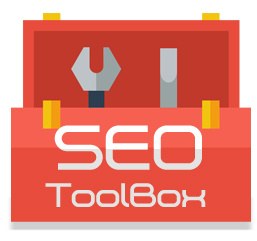 An all-in-one SEO Toolbox for your Dnn website! The DnnC SEO Toolbox is an all-in-one solution to optimize your Dnn website for search engines such as Google and Bing. With a simple overview of all pages (tabs) in your site you can see what is filled ready and what is not. Use the Keywords suggest tool to optimize your keywords, all results are pulled in from google suggest so that you ca see keywords that people are using to search. Use the Dnn SEO Toolbox site Analyzer to analyzer individual pages of your site to see how you can improve your sites ranking.